Jet Dock Systems are not sold online because of their highly customized to fit the needs of your home, marina, or docking location. Each watercraft, climate, and the area are completely unique, which means that your Jet Dock boat lift and dock will also be specialized to fit your specifications. Ordering a custom Jet Dock boat lift is a great opportunity to keep your watercrafts safe and out of the water when you’re not using them. Jet Dock Systems are designed to be low-profile, easy to use, and portable. Our experts will ask you several questions about the location and water conditions of where you plan to install your Jet Dock. Here are some questions that you can expect while talking without customer service experts. In order to help narrow down the price range for your new Jet Dock boat lift, we need to get some important specifications about your watercraft. What kind of craft will you be docking? Make, model, and year. What is the approximate weight of the craft? If you don’t have this, we can typically look it up with the information provided above. 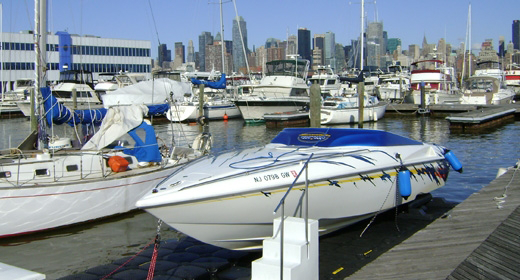 What is the city, state, and zip code where the watercraft will be housed? The location of where your watercraft and new boat lift will be installed is essential to determine the price range and what kind of Jet Dock is right for you. What kind of site will your craft be located on? Marina? Waterfront property? Condo? Is there an existing structure that will connect to your Jet Dock? fixed dock, a floating dock, a seawall, piling, or no structure at all. This is important in determining the mooring that will be required for the dock. What is the approximate water depth at your location? What is the water activity at your location? Once our customer service experts are armed with this information, they can help you determine the best Jet Dock boat lift or floating walkway for your situation. There are other questions and information that our team might need from you later in the sales process but the information above is vital to getting you an initial quote that is accurate. Whether you’re looking for a rough estimate or you’re ready to get the process going, Jet Dock wants to help you find the boat lift that fits your needs. Here are some next steps.